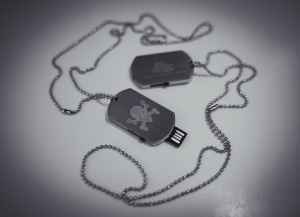 USB dog tag 4gb drive with artwork and a full album mix, done by Monita, that is exclusive only to the USB. Presented in a quality magnetic lid box. Only 100 of these are available. Can't believe I missed this, if anyone has one for sale at a reasonable price let me know.